Historically, DHS only used expedited removal to remove foreign nationals in two circumstances. First, for individuals denied entry at a U.S. port of entry. Second, for foreign nationals apprehended within 14 days of their arrival in the United States, and who were apprehended within 100 miles of the border. The new memoranda will dramatically increase the number of foreign national’s subject to expedited removal. Under the new policies, expedited removal will be used to removal foreign nationals throughout the United States, who have not been in the United States for over two years. Expedited removal will not be used against: (1) unaccompanied minors (2) individuals who claim to have valid immigration status in the United States or claim to be U.S. citizens; or (3), individuals who indicate an intent to apply for asylum. The memoranda will also lead to a dramatic increase in the number of foreign nationals detained during their immigration court proceedings. Under the Obama administration, DHS routinely released foreign nationals while their immigration proceedings were ongoing unless: (1) the foreign national was deemed a threat to national security; (2) the foreign national had been convicted of certain criminal offenses; or (3), the alien had not been continuously physically present in the United States since January 1, 2014. These policies meant that under President Obama, most foreign nationals in immigration court proceedings were not detained. The arriving alien has been found to have established a credible fear of persecution or torture by an asylum officer or immigration judge. The new policies also increase DHS’s enforcement priorities. Under the Obama administration, DHS targeted foreign nationals for removal who were: (1) national security risks; (2) apprehended at the border; or (3), convicted of certain felonies or misdemeanors. The new memoranda keep these priorities while at the same time also adding new categories to DHS’s enforcement priorities. DHS will now seek to remove foreign nationals that have been convicted or simply charged with committing any crime. In addition, DHS will seek to remove foreign nationals who: (1) have engaged in fraud or willful misrepresentation in connection with any official matter before a government agency; or (2) have abused any program related to the receipt of public benefits. Finally, DHS will increase removals against foreign nationals who do not fall into a DHS enforcement priority category. Under the Obama administration, when DHS encountered foreign nationals illegally in the United States who did not fall into a DHS enforcement priority category, they generally used their discretion to not begin removal proceedings against them. 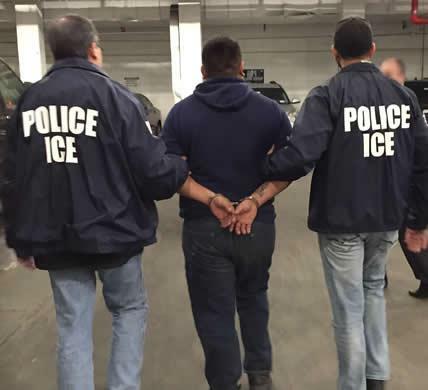 The new memoranda on the other hand, directs DHS to arrest and initiate removal proceedings against any foreign national illegally in the United States that they encounter.